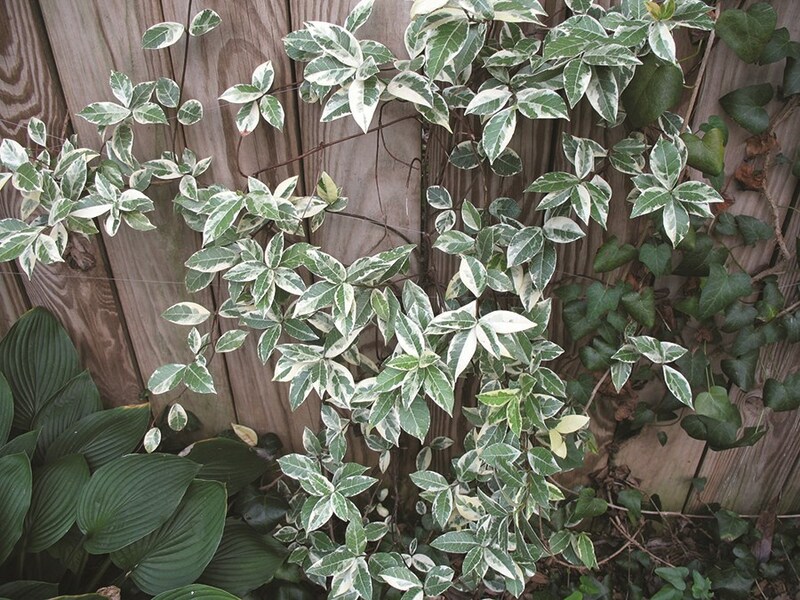 Cream and pale green variegated foliage. In cold weather the foliage develops pink tones. Fragrant white blooms appear in summer. As a spreading vine it works well as a groundcover or will climb if supported.